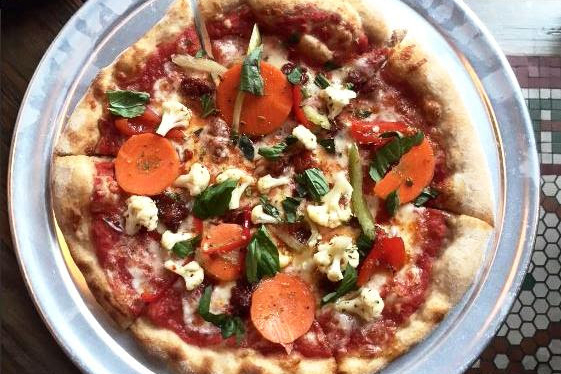 It looks as though All-Purpose Pizzeria will open a location near Nationals Park next year. An outpost for the Shaw pizza joint is slated to open at 25 Potomac Ave. SE in 2017, according to the Capitol Riverfront BID and retail broker Rappaport. The eatery serves pizzas topped with ingredients like roasted mushrooms and truffle sauce and pepperoni, basil and chili honey. The pizzeria also serves salumi and house-made charcuterie and hot and cold antipasti. A new restaurant tenant has been signed for Dock 79, a mixed-use waterfront development located at 25 Potomac Avenue, SE in the Capitol Riverfront. Retail broker Rappaport announced that All-Purpose Pizzeria will join The Salt Line at Dock 79 in 2017. From the owners of Red Hen and Boundary Stone, All-Purpose features a menu of deck oven-fired pizza, antipasti, and beverages. Dock 79 will feature 305 luxury apartments, 18,500 SF of ground floor retail, a public plaza, water promenade, and a variety of temporary recreational uses. Dock 79 is the first of four phases that will eventually deliver 1.2 million SF of mixed-use waterfront density. It is expected to complete in late summer 2016.